September 26th, 2000 New York Photos NYC Pictures NY Hotels Broadway Plays. 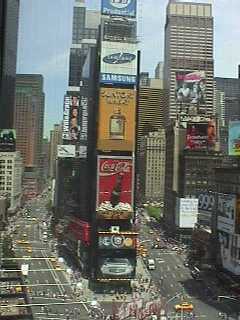 New York City Hotels, NYC Clubs, New York Broadway Plays, Museums & Restaurants. Readio features internationally acclaimed daily updated NYC photos & tours, Manhattan photo galleries, NYC Chef recipes, and a daily soap opera, "As the Mouse Moves." 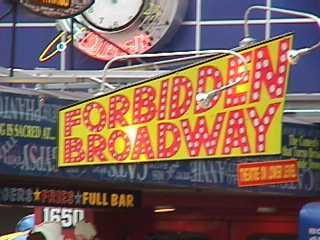 Current reviews, listings and directory guides for Broadway plays, theaters, museums, restaurants, music clubs, New York City hotels, New York art galleries. Shop in the New York Minute Mall. International Discount Hotel Reservations, travel destinations, NYC landmarks, attractions, entertainment, tours & info for NY Hotels, NY Airport Hotels, DC Hotels, Paris France Hotels. Daily New York City Pictures, Photo Tour, Soap Opera, Quote, Riddle & Recipe. Portions of Readio revenue donated to the National Coalition for the Homeless. Today's famous daily quote is on prosperity. "In prosperity prepare for a change; in adversity hope for one." - Burgh. Monday's Trivia Question & Answer: What was the last #1 record on the Billboard pop charts for Elvis Presley? A. "My Way" B. "Suspicious Minds" C. "Don't Cry, Daddy"
Submit your answer HERE to Today's Riddle: Please include your email address and your name for recognition. We will give recognition to names not mailing addresses. Daily Features include a Famous Quote, a Trivia Question, the Riddle Winner's Names, NY Photo Tours, Dr. Delicious & "As the Mouse Moves". Daily Features include two pages of NY Clickers 1 & 2 photo tours. Zoom Zone pictures of NYC's funny, pretty and surprising. Dr. Delicious cooks daily. 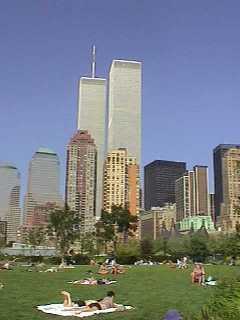 NYC pictures & stories in the longest running daily Soap Opera! The daily 2 min. NYC photo fiction soap opera "As the Mouse Moves" is an international web favorite! The story of a small town girl making it in the Big (sometimes rotten) Apple. Daily updated corresponding New York pictures. 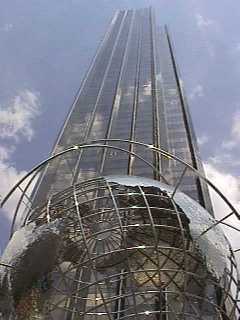 Internationally acclaimed Photo Galleries of New York City Landmarks. Pictures of NYC in Native Americans, Gotham, Petals, Cool Collection, Classy Chassis, Park Place, Harlem, Chinatown, Click & Save & The Zoo. Descriptive listings with NYC photos & reviews of New York City Art Galleries, NY Broadway Theater Play Listings & Reviews and NYC Museums. New York City Restaurants, Hotels & Clubs with photos, listings & reviews. Hotel Travel Guide includes NYC pictures, discount hotel reservations, a search of NYC Hotels, Airport Hotels, Paris Hotels, Washington DC Hotels, Major City Discount Hotels, Car Rentals, Euro Rail tickets & Airline tickets. Click 'til you drop in the NY Minute Mall with ever changing hot items for music, CD's, books, video games, NYC souvenirs & tour Our Bookstore. The Readio Reader's Choice - Free Subscriptions, Readio News, Links, Start Page, Site Map, Policies, Comments. Search the NY Readio Website here! View our most recently updated page list here! See What's New! Ideas, Link Requests, Press, & advertising - EMAIL US. Never miss a call. Get ICM! ©1999-2000 Property of Readio Enterprises.